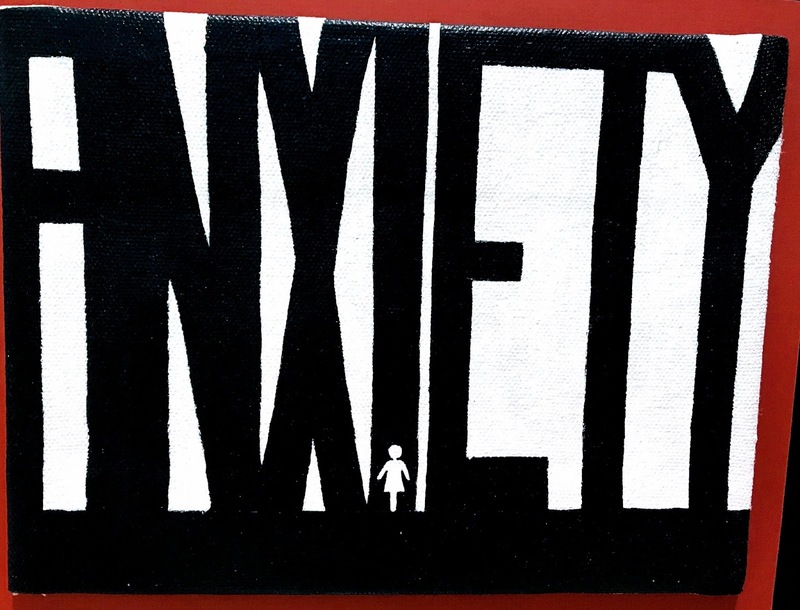 What a brilliant picture of “Anxiety” by a child in Montgomery County, Maryland. Notice the great big letters–and all in caps–for what ANXIETY feels like. Anxiety is black–it’s when we are in a dark foreboding place and we can’t find our way out–it holds us back from doing what we need and like to do. Anxiety feels so all-enveloping and ginormous–it dwarfs us in the “I”–and we feel so small and are paralyzed, incapable of freeing ourselves from it. 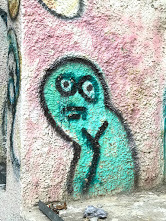 Anxiety is a cognitive and emotional bias where we see things in black and white–everything is to the extreme–and there are no greys; we tend to talk in all or nothing and our actions may mimic our extreme feelings. Around the anxiety, we are bordering in blood red–we are in a dangerous place–where our feelings of fear, inadequacy, and being incapable of overcoming it can lead us to do something desperate and final. When we are drowning in anxiety, it is like a lens or filter that clouds our vision and thinking, so we can make bad decisions, not make any decisions, or just procrastinate in order to avoid the issue and thing we are afraid of. We have to fight off the octopus grip of anxiety. We have to find our courage within and from G-d.
We have to conquer our demons so we can meet our destiny head-on. We have a mission to fulfill in our life, and we can’t let anything get in the way. You can only go forward. Often in life, I reflect on how wise this is and he was. Sometimes, we are hesitant or afraid of what lies ahead, and we turn our heads back and reinvent history and creatively fantasize how wonderful things were before and maybe we should go back. Like the Israelites thousands of years ago, who G-d redeemed from the servitude of Egypt, but with hundreds of years of a slave mentality, they were in a sense paralyzed with fear of going into the foreboding expanse of the desert. But we know that going forward is the only way to learn, grow, and progress. Just like the Israelites that went forward through the depths of the Red Sea on dry land and to receive the Torah on Sinai and for forty years in the desert to ultimately get to the amazing promised land of Israel. 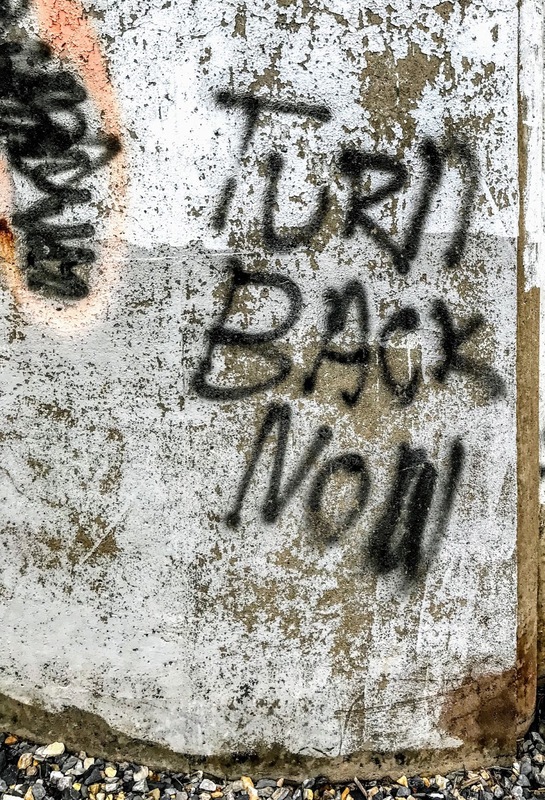 Thank G-d, they didn’t turn back–there really was no turning back. We have a journey that we need to complete. I thought this was pretty smart. With worry, we suffer when we worry and then we suffer again if the thing we are worrying about actually comes to fruition. So in essence, we are doubling up on the suffering. Yet, worry can be constructive if we use it to spur us to positive action such as in confronting and dealing with challenging situations. But when we worry just for the sake of worry because we can’t control our anxiety and moreover, it actually may paralyze us with fear, then this is obviously a bad thing. Sure do, but like my dad, I use worry to try and think out-of-the-box, to plan, to problem-solve, to figure out coping mechanisms etc. Worry is suffering for sure. Some of the best work being done in robots to help disabled people is from Dr. Amit Goffer of the Technion University in Israel. ReWalk is a robotic battery-powered exoskeleton with motorized legs and hips that enable paraplegics to walk, turn, and even climb and descend stairs again–and is FDA cleared as of 2014. And UPnRIDE is a wheeled auto-balancing robotic device that enables quadriplegics to stand and be mobile. The inventor, Dr. Goffer, is himself paralyzed from the waist down due to an accident 20-years ago. This has inspired him to create these absolutely amazing robotic devices to assist all disabled people who are wheelchair bound. Approximately 1% of the people are wheelchair bound that’s 70 million! And surely, many more especially in the developing world need wheelchairs and don’t have them. So these amazing robotic devices have the incredible capacity to help so many people stand and regain their mobility and dignity again. These are nothing short of miraculous and a new beginning for so many people suffering from spinal cord injuries, multiple sclerosis, palsy, strokes and more. Being able to stand again is not only psychology healthy and helpful for mobility, but it may aid in preventing secondary conditions that wheelchair-bound people can suffer, such as osteoporosis, diabetes, heart disease, loss of lean mass and difficulty with bowel and urinary functions. ReWalk has also received approval for coverage from the U.S. Department of Veterans Affairs for those qualifying and with spinal cord injuries. Absolutely loved the article and video in Bloomberg Businessweek on the Tankchair. Brad Soden makes these amazing ruggedized wheelchairs for wounded veterans and other disabled people in need of getting around some rougher terrain. They are customized for each user and cost about $15,000 each. They are built on tank-like treads and can go up stairs, through fields, across streams, and over snow. They are tough and can last 15-20 years! He first made one for his wife who was paralyzed from the waist down in a car accident and was having difficulty keeping up on a family camping trip. Soden is truly inspirational–he produces these not too make money, but too help people. CNN has a video out today on this amazing new technology for paraplegics. 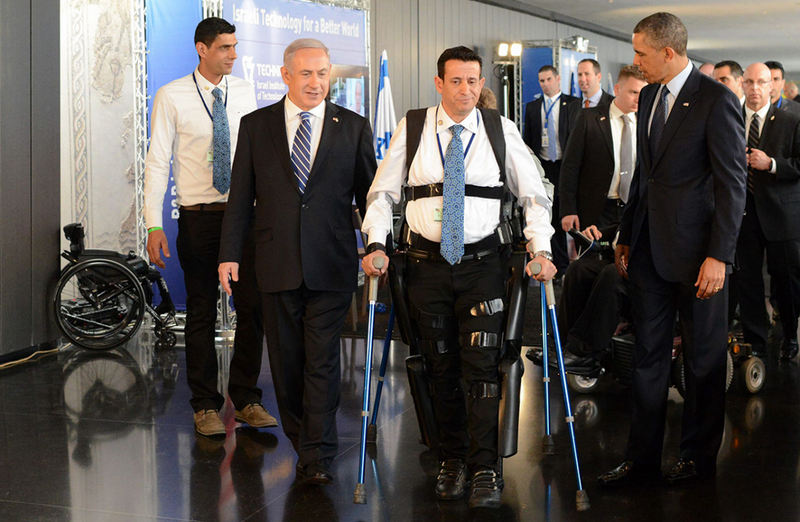 It is a miraculous robotic exoskeleton called the ReWalk by Argo Medical Technologies in Israel. He challenged the status quo and now there is a way for paralyzed people to stand and walk again. I choose this video for the blog, because I found it so immensely inspiring to see someone previously wheelchair-bound participating in a marathon in Tel Aviv this year. The ReWalk is strapped on and has motorized joints and sensors and a battery pack. When combined with some braces, a person has mobility again on their feet! I cried when I saw the patient, Radi Kaiuf go over the finish line after walking 10 kilometers with the ReWalk and everyone, including the children on the sidelines, cheering for him. Congratulation to all the researchers from the Technion University who helped make this a reality–hopefully people around the world, who are in are in need, will be able to benefit in the future and walk again. She wobbled and would’ve fallen if not for the safety harness, but after a few times retraining her muscles to walk again, she was able to take steps and turn using the eLEGS exoskeleton technology.